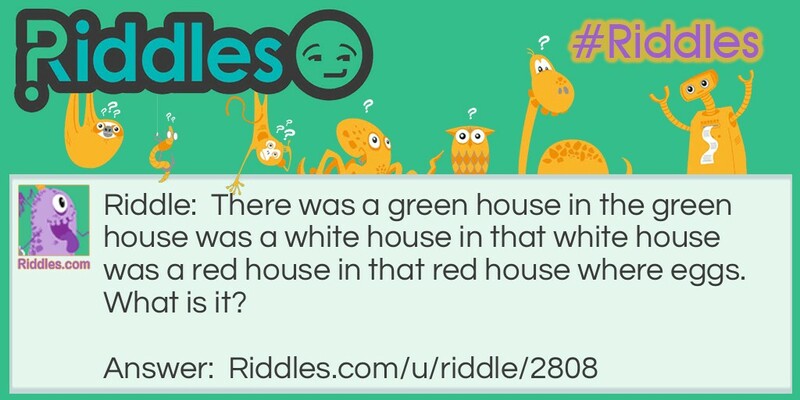 There was a green house in the green house was a white house in that white house was a red house in that red house where eggs. What is it? fruit Riddles Riddle Meme with riddle and answer page link.